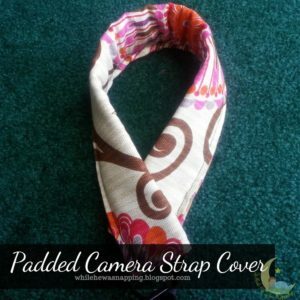 This post is sponsored on behalf of Jo-Ann Fabric and Crafts store. 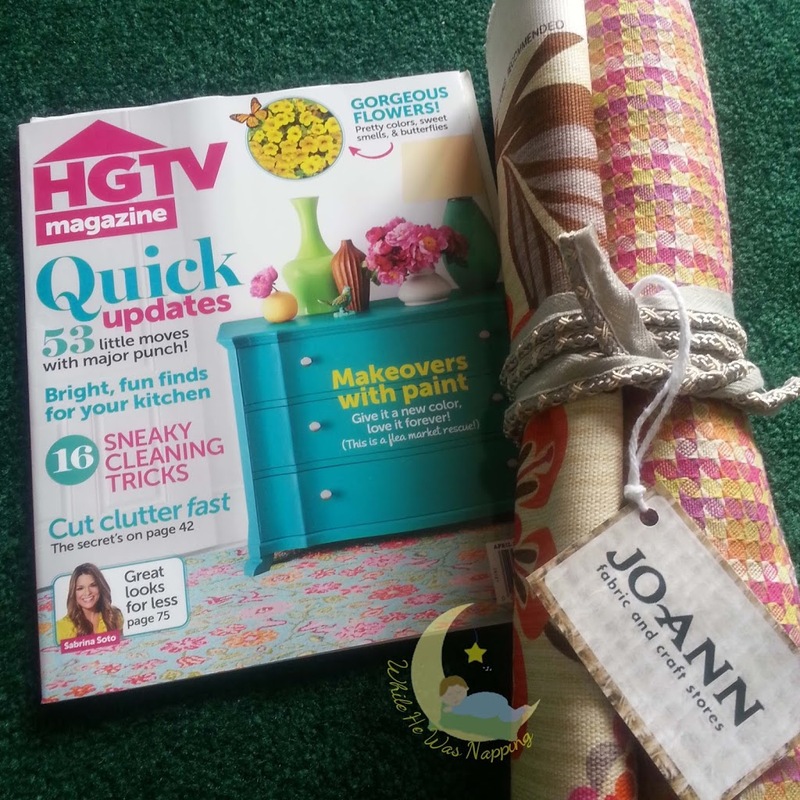 I was provided with fabric, trim and the April 2013 issue of HGTV Magazine in order to complete this review. All writing and content is 100% original and honest and 100% mine. Links contained within this post may link to the sponsor’s website. When I was invited to try out Jo-Ann’s new line of HGTV’s HOME fabric line, I was pumped. The fabric is gorgeous and colorful. And girly! It was the perfect excuse to do some crafty creating for myself. I’m always working on things for our home or my hubby or the boys or gifts for other people. I rarely get to do any projects that are actually for ME. I was totally excited. 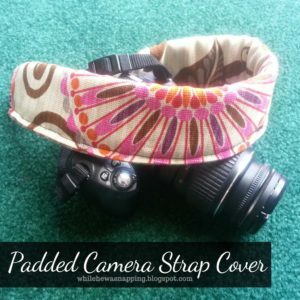 The first project I took on: a padded camera strap cover! I’d been wanting a strap cover for a while. But, from numerous day trips to different zoos, an aquarium or two, a corn maze and a few beach outings, I knew it needed to be padded. I finally found some great directions and tackled the project during nap time one day. – This fabulous tutorial over at Everything Etsy. If you get lost or confused at anytime, check out this great tutorial. She has great pictures and great explanations. I didn’t get a whole lot of process photos since I was racing the nap time clock before my kids woke up. 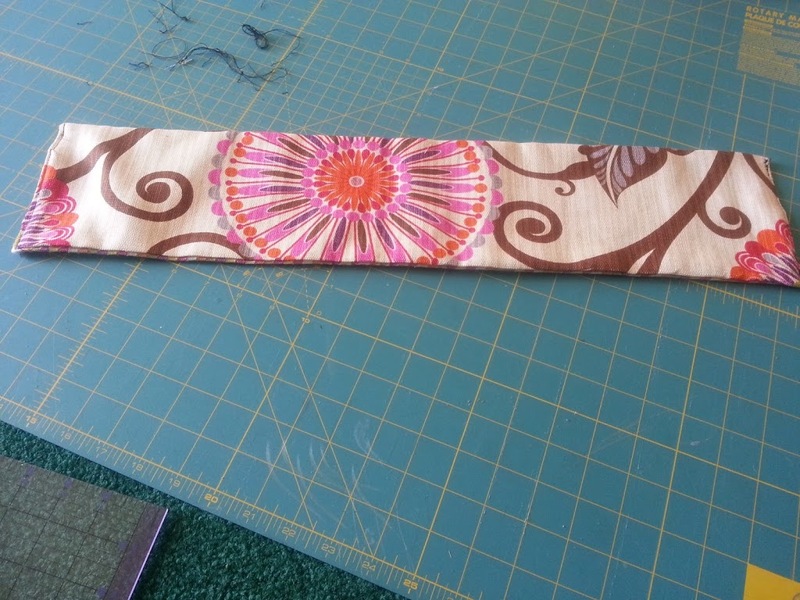 – Cut each fabric to a strip of 23 inches long and 5.5 inches wide. – Cut one piece of fusible fleece to 21 inches long and 4 inches wide. – Iron the wrinkles out of the fabric. 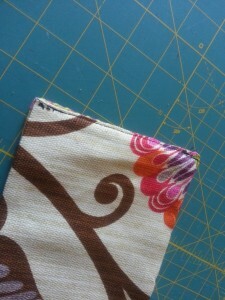 – Sew an 1/8 inch hem on each of the short ends of the fabric. You should sew four hems. I didn’t do this at this stage, but wish I had. It would have been easier. – Place the right sides of the fabric together and pin them in place. 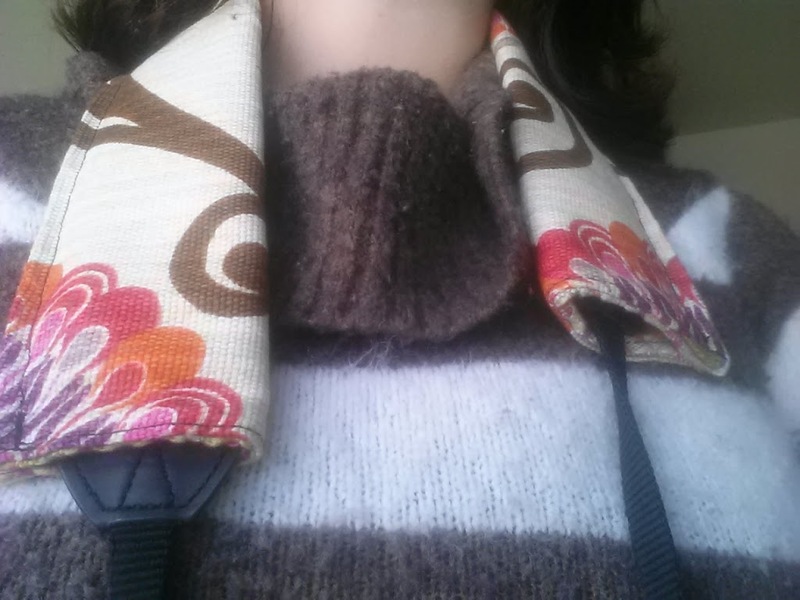 Sew the two long sides together with a straight stitch. Leave the ends open. You should have a big inside out tube. – Iron the seams flat. – Center the fusible fleece onto the Checkered Past Berry fabric. It doesn’t have to be perfect, just eyeball it. Iron it down. Start at one end of the fabric about 1/8-1/4 of an inch from the edge and iron down the fleece. It will stretch as you go. Stop about 1/4-1/8 of an inch from the other end and trim it off, if you need to. – Turn the tube right side out. 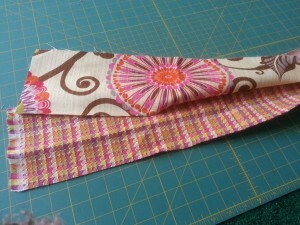 – Sew both of the short ends of the fabric together with a straight seam. 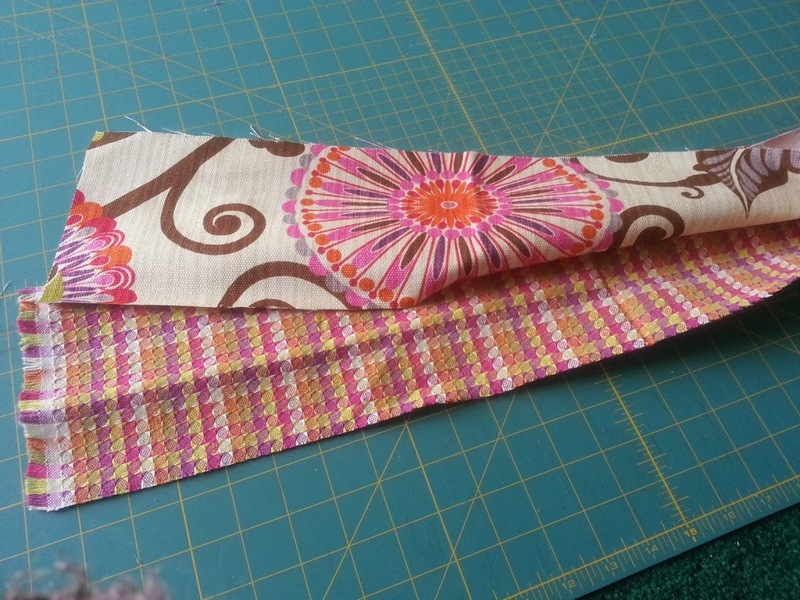 – Fold the fabric in half with the Urban Blossom fabric facing out. Sew the long edges together with a straight seam. Trim all long threads. – Iron and apply the strap to your camera. Isn’t it pretty!?! I love it! How awesome is that fabric?! Well, lucky for you, I’ve got a coupon for you! 10% OFF! And if you order between April 14 and May 4, 2013 all HGTV Home fabric will be 50% off! SCORE! great idea! i totally need one of these. thanks for posting! This is fantastic! 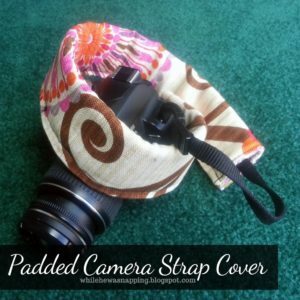 I love the fabric you chose and I will definitely be trying out the camera strap! Thanks for sharing 🙂 Pinning now!